Our go-to-market strategy continuously evolves to feature different products and offers. We remain committed to the Prestige product and servicing our valued existing cardmembers. We look forward to reintroducing the card for new cardmembers in the near future. The last sentence possibly hints that there will be a new sign up bonus for the card in the near future. The Prestige card is Citi’s premium offering and comes with a $450 annual fee. It is similar to other premium cards in the way it earns points, but one perk that sets the Prestige apart is the 4th night free option for hotel stays which was updated not long ago to make it easier to use. Citi is apparently focusing on no annual fee and low annual fee cards, citing hot competition in the premium space. 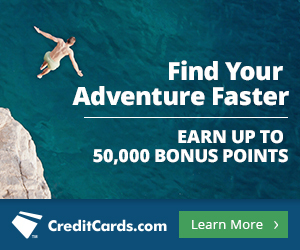 They recently released the Mile Up card, a co-branded rewards card with American Airlines, that has no annual fee. They also increased the sign up bonus on the Citi Thankyou Premier card to 60,000 points. The ThankYou Premier has a $95 annual fee, that is waived for the first year. The Prestige currently has no sign up bonus. 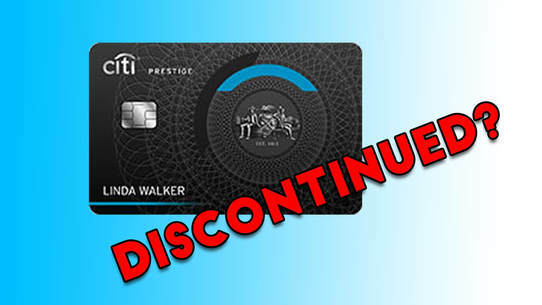 DoC says that Citi bankers are now being told to direct customers towards the AAdvantage Executive Platinum World Elite Mastercard as an alternative premium credit card. That part does seem to be true.